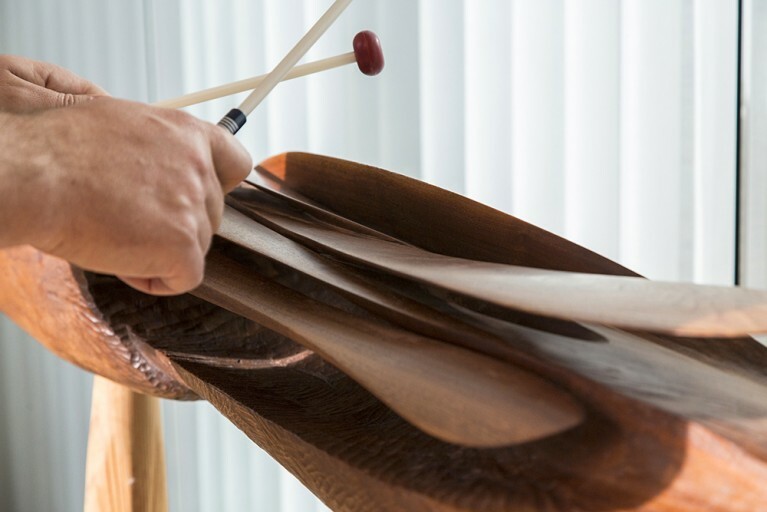 In this Art Museum Encounter podcast, award winning wood sculptor Alan Newberg engages in a fascinating and insightful conversation with Bainbridge Island Museum of Art Chief Curator Greg Robinson. Listen here as Alan describes the process wherein he creates the large wood sculptures currently on exhibit at the museum. His solo show, on display in the Jon and Lillian Lovelace gallery on the Museum’s first floor, includes a variety of his recent abstract pieces. 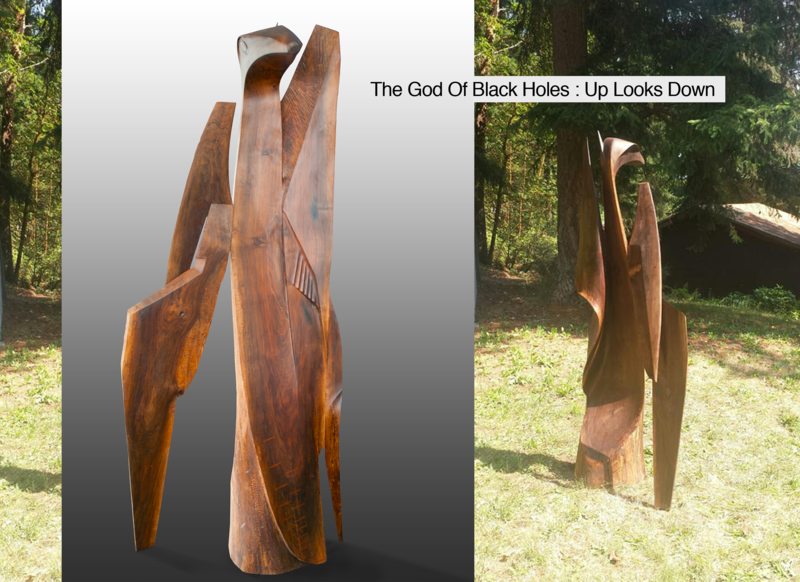 Especially notable is the nine foot “God of Black Holes: Up Looks Down” in the main window of the museum. In this interview, Alan talks about his inspiration for that piece as well as many others, most of which have been carved from a single piece of wood. Newberg, whose interest in wood began as a boy working in the family lumber mill, also tells us about his mentors: those artists who have inspired him over his long career. 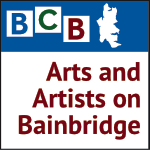 A founding member of the Collective Visions Gallery in Bremerton, Newberg is the lead organizer of the CVG (Collective Visions Gallery) Show, a juried art competition in Washington State, now in its 10th year. His award-winning work has been exhibited widely and is included in numerous museum, corporate and private collections. Prior to moving to Kitsap in 1989, he was a Professor of Art and Department Chair at Montana State University Billings. Newberg has three degrees in studio art, a BA from the University of Sioux Falls, an MA from the University of Wyoming and an MFA from the University of Oregon.